It's funny. Often when we're asked to describe our OCRACOKE ISLAND COTTAGE RENTALS escape to folks . . . they nod their head in understanding . . . because many have already dreamed about enjoying a vacation home rental in such an idyllic place as Ocracoke Island, North Carolina. Contact us directly via email for OFF-SEASON RATES! You may know what we're talking about too. It's a lazy kind of off-season escape... WITHOUT THE CROWDS... where you can literally kick off your shoes and wiggle your toes in clean Ocracoke Island sand. You can wear the most comfortable clothes you own and snooze as late as you like or rise with the sun to go after the catch of the day on an Atlantic Ocean or Pamlico Sound fishing charter. Its a kind of Outer Banks barrier island vacation escape where you can toss your worries out to sea, soak up the pristine beauty of a national seashore and really and truly UNWIND in a comfortable vacation cottage. 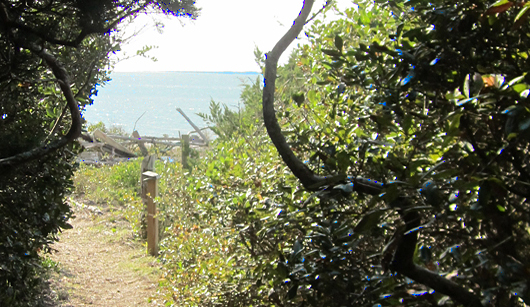 We invite you to relax, look around and learn more about our Ocracoke Island 'Isle of Enchantment' during its BEST SEASON... the OFF-SEASON... when "Let's play!" means things like fishing, crabbing, boating, birding, kayaking, biking, shelling, exploring an abandoned neighboring island, shopping for unique arts and crafts by village artisans along back roads or just strolling our miles and miles of pristine ocean or sound beaches. See our extensive off-season ACTIVITIES GUIDE for even more ideas! 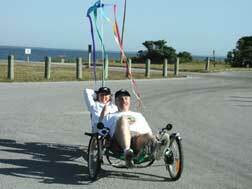 Most activities are within walking or biking distance of our rental cottages. And, to put the frosting on the crab cake, you'll find our comfortable Ocracoke Island rental cottages at their LOWEST RENTAL RATES during the off-season too! "Ocracoke is a special place; it is my favorite getaway beach. Here you will find some of the finest, wild beaches in the country, and the water quality is at the top of the charts as there is literally nothing way out there to pollute it. The main pursuits are swimming (best at Airport Beach area), shelling (especially on the north end), and general beachcombing along the 16-mile long shore."